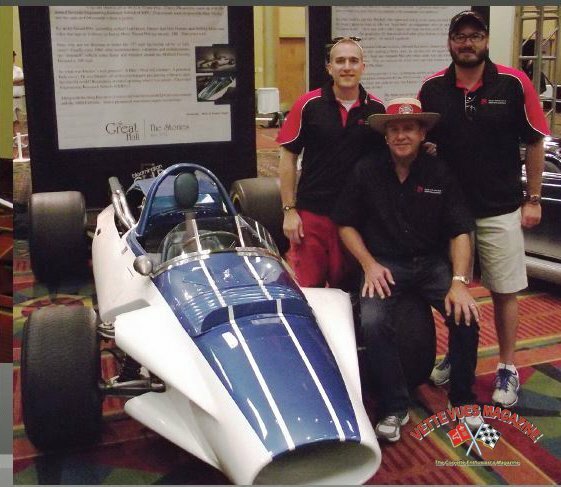 The One and Only CERV 1 Goes to Scottsdale Barrett-Jackson Auction. Zora Arkus-Duntov developed it as functional mid-engine, open-wheel, single-seat prototype racing car. When the hottest engineers and designers in the automotive business put their heads together, you can be sure something historic will happen. And in this case, it happened several times. 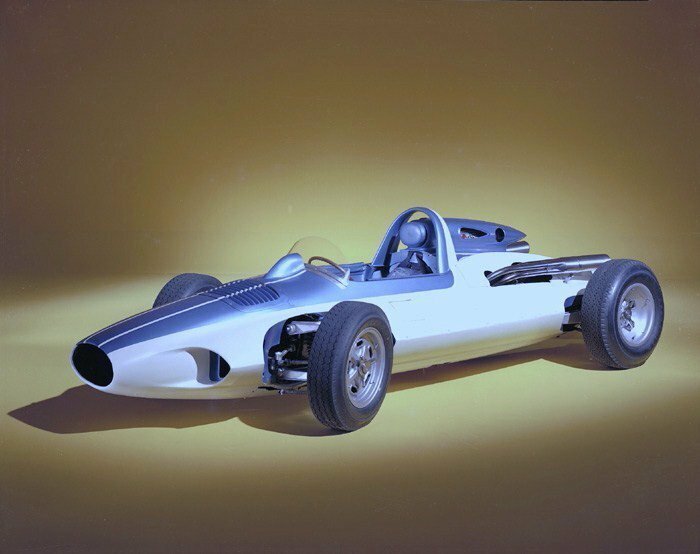 The first Chevrolet Engineering Research Vehicle (CERV 1) debuted in 1960 and was created to develop Corvette suspension and driveline components for the production car. It was the result of the talented engineer Zora Arkus-Duntov, along with designers Larry Shinoda and Tony Lapine. Together, and separately, they made history happen during the glory years of Bill Mitchell’s jet-age Detroit and beyond. And it was their CERV 1 that drove us all toward the future. This fantastic piece of automotive engineering has Chevrolet’s blood, sweat, and ingenuity written all over it. Their no-nonsense, racetrack test bed incorporates a single center-mounted seat, fully independent suspension, a 4-speed transmission, and heavy-duty finned drum brakes front and rear. A precision recirculating ball steering system was incorporated to assure proper driver feedback and fast response. Power was originally supplied by a fuel-injected 350-horsepower 283. Magnesium and aluminum alloy engine pieces whittled down the weight of this power plant to a svelte 350 pounds. The car’s Rochester injection system fed the juice from two rubber-bladder fuel cells. Although this rear-engine CERV 1 was conceived to be a track bully, it was not actually built to be sanctioned by any racing organization. 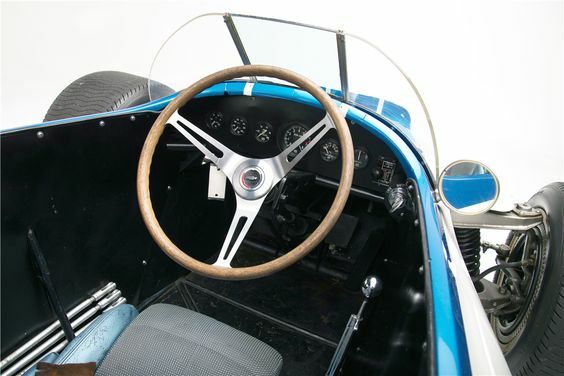 Consequently it never officially competed, although it did have the proper dimensions for an Indy car. But, as you may recall, GM banished racing from their kingdom during this period. Talk about driving a fine line. 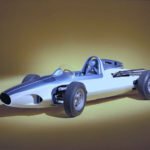 The CERV 1 first appeared in public with Duntov at the wheel doing demo laps at the 1960 U.S. Grand Prix in Riverside, California. Imagine owning a car not only developed by Duntov, but also driven by him. 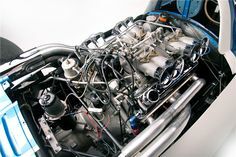 The team would eventually replace the original engine with a 377ci aluminum small block utilizing an upgraded version of the Rochester fuel-injection system. They also rethought the car’s aerodynamics and made changes in the process. It is presented in that configuration here and now. The culmination of this effort would go on to push the CERV 1 past the 200 mph mark. For the sake of reference in 1960, the fastest lap speed at Indy was 146 mph. Imagine doing statistical analysis at 206 mph in an open-air rocket ship. Some people get all the good jobs. By the way, it would be five more years before a modern rear-engine Indy car would appear on the track. 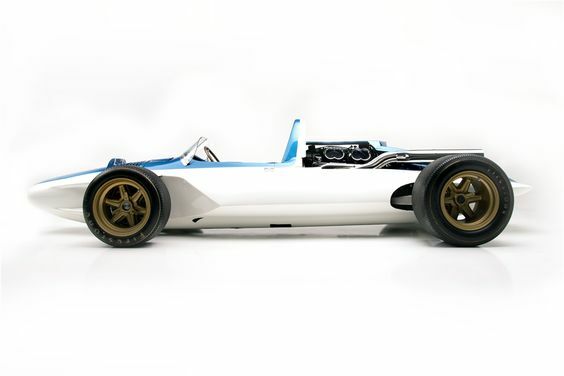 It is difficult to imagine any other vehicle that has had an impact on our current performance machinery like this 1960 engineering prototype from Chevrolet. It is a bare-bones, open-wheel, rolling laboratory that was destined to be a one-of a-kind workhorse for some of the luckiest engineers in the world at an unforgettable moment in time. Now is your chance to own the ultimate collectable. No one else in the world will have its equal. 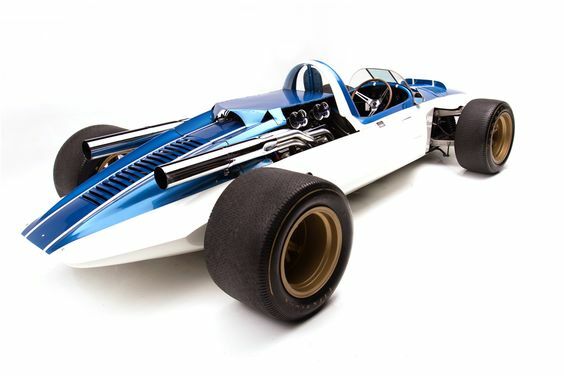 A completely documented paper trail on this incredibly rare piece of automotive history is proudly included in the sale of the one and only CERV 1. Duntov, Shinoda and Lapine would go on to work together during the development of the new 1963 Stingray. Shinoda’s hand would then touch Ford’s Boss 302 Mustang, among other projects for that company. Lapine joined Porsche and moved back to his homeland in Germany, where he designed the 924 and 928 models. 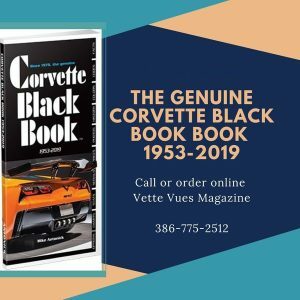 And Duntov would become the official godfather of the Corvette forever. Provenance will never get more compelling than that. For up-to-date information on this vehicle and auction info, click HERE. 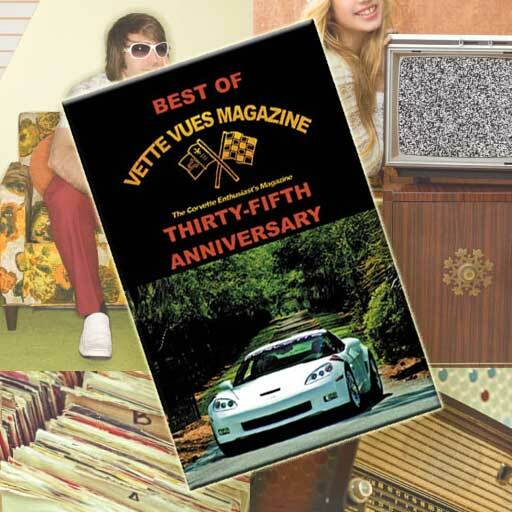 This photo appeared in the December 2012 issue of Vette Vues Magazine when the CERV 1 was in the Great Hall at Bloomington Gold. Pictured here are Mike Yager and his sons Michael and Blake. 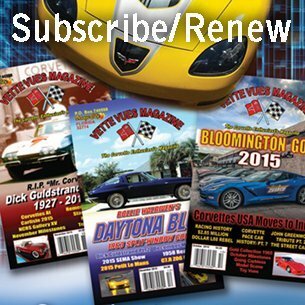 Subscribe to Vette Vues Magazine – the Corvette Enthusiast’s Magazine since 1972. You might also enjoy reading about the CERV II when it was the 2014 Corvettes at Carlisle Event. Check out our collection of Corvette & Chevy ads from 1960.